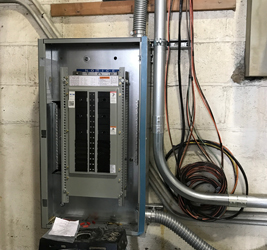 A Circuit Breaker Panel or electrical service panel is the heart of any building’s electrical system. It dispenses electrical power coming into your home through wire circuits. 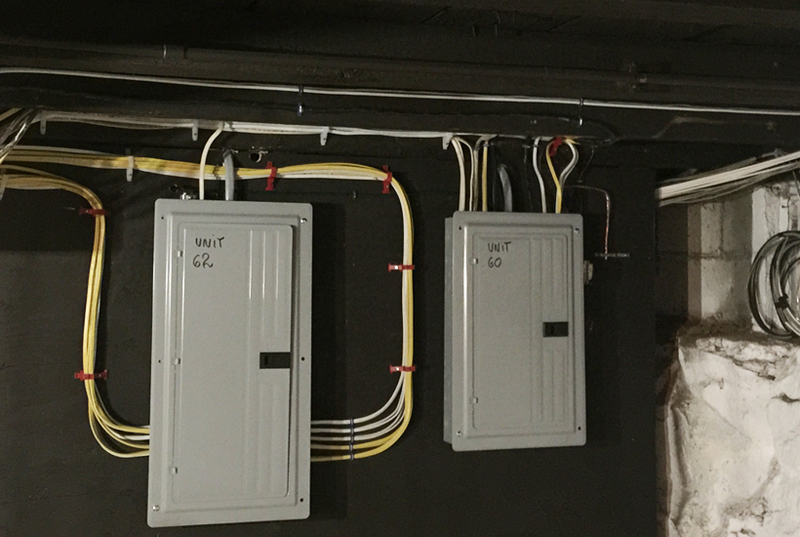 Each circuit is protected by a breaker. Breakers disconnect or trip when a circuit draws too much power. This could signal you’ve just overloaded a circuit or there is need for an electrical repair. Drawing too much power through a circuit, (More power than the circuit was designed to carry), will overload the circuit. An overloaded electrical circuit creates excessive heat and therefore is a FIRE HAZARD. If the circuit breaker is truly “tripped (disconnected the circuit from the main power line)” usually requires nothing more than to move the breaker switch completely to the off, then back to the on position. A properly reset breaker will normally “click” into place when returned to the “on” position. If, after resetting the breaker, it continues to trip (Disconnect the circuit), it’s time to call SG Group Electrical. Why is it Important to have Your Home’s Circuit Breakers Inspected? Its main function is to channel electricity from the electrical main supply line to the individual circuits in your home. It also is supposed to protect them by blocking electrical current if too much electricity is required or provided. It is important that the breaker be the right size for the circuit it protects. Hot, buzzing, or constantly tripping breakers are signs of trouble in your panel. It is important to maintain and check your electrical panel regularly to prevent major damage. 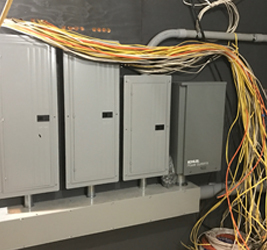 SG’s electricians perform panel checks on every service call and provide maintenance. We look for signs of wear and tighten all your connections.